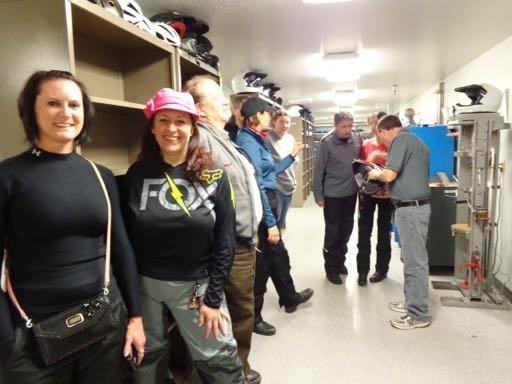 Many Women On Wheels® members live by the motto “all the gear all the time”, but what do you really know about the quality of your gear and its ability to protect you? Take your helmet for example; while it provides shelter from the elements and may even be a stylish accessory, how do you know which helmet will best protect your brain? What’s the difference between a DOT helmet and a Snell certified helmet, isn’t it just a marketing gimmick? And how often should you replace your helmet? The ladies of Northern California WOW chapter Gold Country Riders (GCR) went in search of these answers and more. We didn’t have far to ride on a cold, wet January morning since thankfully we are privileged to have in our backyard the only Snell independent testing laboratory in North America. Thanks to GCR member Dee Dee Gray for coordinating the outing; and thanks to the knowledgeable scientists at Snell for being kind enough to open their facility on a Saturday. Not only did they give GCR members our own private tour they also, over the course of two hours, demonstrated each of the rigorous tests a helmet has to pass before it receives a coveted Snell certification, and they answered every question we could possibly ask. First, why wear a helmet? We learned from Snell Director of Education Hong Zhang that “the primary purpose of a helmet is to manage energy so that if you have an accident all that energy is managed by the helmet and not your brain”. So how do you determine how well a helmet can manage energy? “Well unfortunately it isn’t easy” shares Hong. “It’s not something as a consumer you can determine by looking at the thickness of the helmet, the weight, what it’s made of, or even the price tag. The only way one can tell is through extensive testing”. 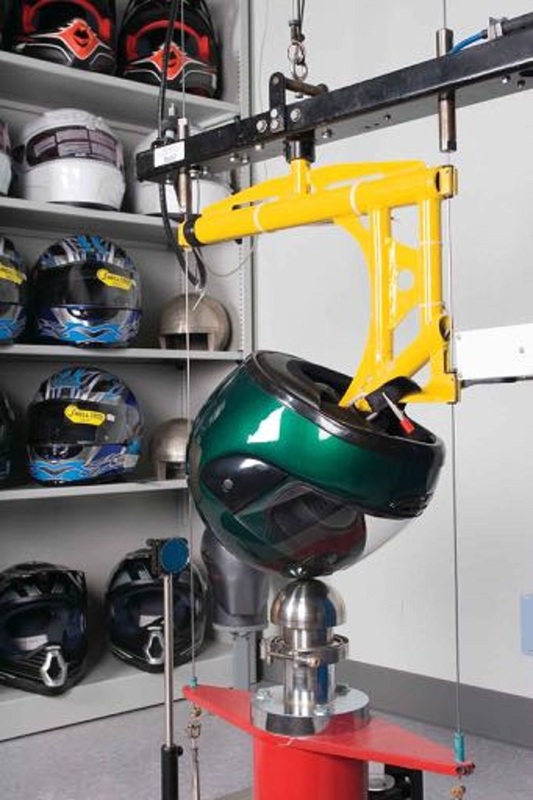 To ensure the integrity of retests, Snell procures motorcycle helmets from online and local stores and not just from the helmet manufacturer directly. This guarantees Snell tests the same helmets you and I ultimately purchase and not just hand selected ones the manufacturer believes to be of the highest quality. According to Hong “If at some point down the road a previously certified helmet fails the battery of tests, the model has to recalled. So what’s the difference between a DOT helmet and a Snell certified helmet? “DOT standards are maintained by the Department of Transportation and are the minimum standards a helmet manufacturer must adhere to” says Hong. “DOT certification is done on the honor system. The helmet’s manufacturer determines whether his helmets satisfy DOT and then claims the qualification for himself. There are no reporting requirements and the government provides very little spot checking to ensure the standard is being adhered to”. The DOT standards are substantially more lenient than the Snell standards and therefore the protective qualities of a DOT helmet are not as strong. The tour was truly fascinating and there were so many tips shared and questions addressed during the two hours it’s impossible to share them all, but here are the top eight. Fit: Fit is very important when it comes to your helmet. Hong shared that “Most riders wear a helmet that is too large. A helmet should fit snuggly.” For this reason Snell encourages riders to wear the helmet in the store for at least 3 to 5 minutes to ensure the helmet is comfortable and does not have pressure points. Online helmet purchases should only be made after ensuring proper fit. Care: Proper care will extend the life of a helmet. If you’re riding in the heat be sure to let your helmet air out after the ride. When your liner needs to be cleaned, use mild hand soap, hand wash the liner and airdry it. “It is important that you NEVER use a blow dryer or place the liner in the dryer. Extreme heat will damage the foam and cause it to break down” shares Hong. Hair products can also damage a liner. A thin helmet sock or Buff (www.buffusa.com) may help keep your liner clean longer and extend its use. Storage: When not in use, do not rest your helmet on your mirror, handlebars or other hard surfaces. Pressure on the inside of the helmet will cause the liner and the foam shell to breakdown, creating a weak spot in the helmet and impacting its ability to fully protect you. 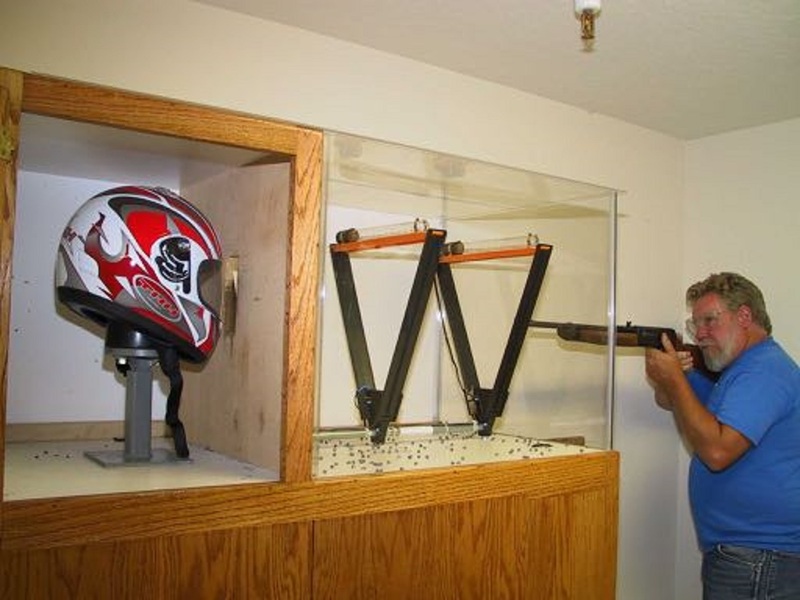 Damage: If, while wearing the helmet, the helmet comes into contact with a hard surface or you’ve been in an accident wearing the helmet, the helmet must be replaced immediately. Myth Buster: Contrary to urban myth, dropping a helmet does not mean the helmet needs to be replaced. The damage to the helmet actually occurs if your head is in the helmet when it collides with a hard surface since the collision compresses the foam shell. Replacement: The helmet liner and foam shell break down over time impacting the helmet’s ability to manage energy properly and decreasing its protective qualities. When this happens the helmet should be replaced. As a general rule a helmet should be replaced at least every 5 years. What types of helmets are not certified? • While modular helmets pass the DOT standard unfortunately they do not currently provide the impact protection required to be Snell certified. Additionally, the locking mechanisms don’t stay latched during the high impact Snell tests and this failure point could result in neck injuries during an accident. For those of us that prefer this style of motorcycle helmet it’s important that we put pressure on manufactures to improve the helmet safety. • Helmets with built in, flip down sun visors, have not been submitted by manufacturers to be tested. Manufactures are currently reducing the thickness of the foam in the brow area so that the visor fits in the helmet when the visor is in the retracted/stowed position. Unfortunately, this reduction compromises the ability for the helmet to manage energy and results in inferior protection for the rider. If you love the sun visor feature as much as I do, I encourage you to reach out to your favorite helmet manufacturer and request they improve protection these helmets offer. • Half helmets, AKA beanie helmets do not meet the Snell standard since they do not provide coverage for all the impact areas (back of the head) and offer adequate protection. Is your motorcycle helmet Snell certified? To find out if your motorcycle helmet is Snell certified look under the helmet liner. You can also consult the certification list found on the Snell website athttp://www.smf.org/cert. The Snell tour was enlightening, educational and entertaining. After spending an afternoon with these knowledgeable helmet protection experts it’s clear that the folks at Snell are extremely dedicated to our safety. Admittedly, I road home sad and nervous that my current motorcycle helmet isn’t Snell certified. But I had the strong conviction that a Snell label is the only “designer label” required for my next helmet. So the next time you visit Northern California, skip the typical tourist traps and treat yourself to a Snell tour. It will not disappoint you, in fact the knowledge you gain may just save your life. About Snell: Established in 1957 after the tragic death of racecar driver Pete “William” Snell, the Snell Memorial Foundation has been a leader in helmet safety both in the United States and around the world. For over 50 years, the Snell Memorial Foundation, a not-for-profit organization, has been dedicated exclusively to head protection through scientific and medical research, standards development, helmet testing, and public education. That helps ensure Snell testing identical helmets people in addition to When i finally acquire rather than just give determined people the software creator considers for being on the most suitable. In line with Hong “If sometime later on in life some sort of recently authorized lid is not able this power supply connected with testing, this type should remembered. I am totally agree with this post this is a great guide for beginners. Choosing a best motorcycle helmet for men and women it must be approved by DOT or SNELL to insure that the helmet can truly saves our life in danger. Thanks to Russ Brown for this wonderful blog. I'm fully agree with Russ Brown. 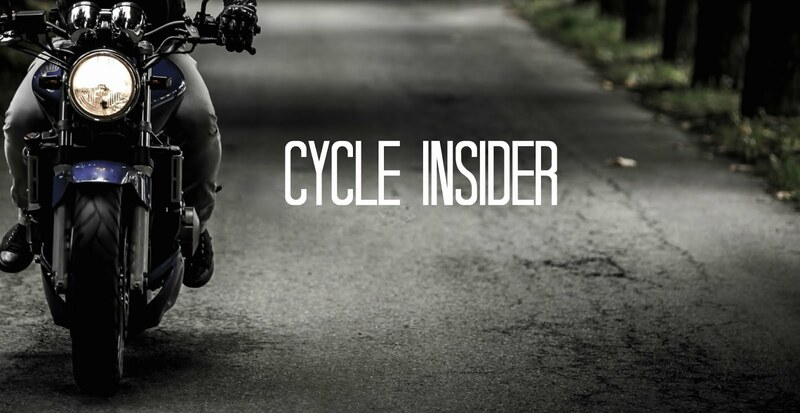 This article is impressive for bike lovers like me. As bike racing lover, safety is my first concern. Open Face Helmet is right choice for me for racing. • Your blog is great. I think it should be certified because of your safety when you're on the road. Many accidents can happen when people do not use helmet.